There are many knives that are meant to be used for everything, known as an everyday carry. However, there are some knives that are designed for a purpose and do it very well. One of these is the tactical tanto spring assisted pocket knife. Meant to be used in combat and survival situations, it can be found in a convenient, easy to carry form. A tanto knife is a Japanese style blade that was first used by the samurai for dealing with armored opponents. Traditionally, the edge was straight, with a slight curve up toward the tip. In the ’80s, Cold Steel made a version that changed the tip and has become known as the American tanto, and the reverse tanto was designed a few years later. The American tanto still has the straight edge, but now angles sharply up to meet the spine, creating a triangle-shaped tip. The spine of both the traditional and modern tantos are thick, and have little to no taper toward the tip, leaving a lot of steel behind the point for added strength. This makes it possible to punch through a car hood if that ever becomes necessary. Hunters, survivalists, preppers, and backpackers can really benefit from having a folding tanto knife on hand. Since they spend so much time in the wilder places having a knife that is geared specifically towards survival and tactical needs can only help. 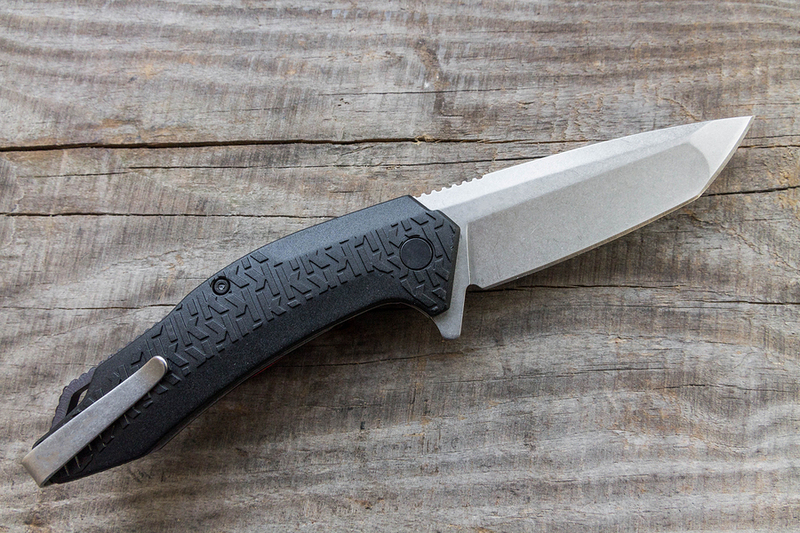 Having the knife in a convenient, folding setup simply makes it easier to carry. 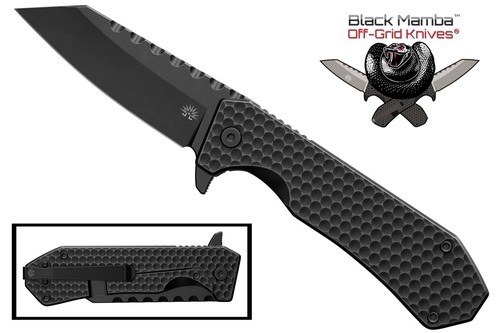 Even law enforcement and military personnel who are off-duty will find this a useful knife. Just knowing that there’s a backup to your backup can bring a certain peace of mind.